This Owl has flown but I am happy to make more. 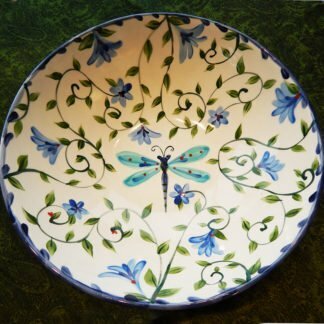 Made to order, specify color preferences in notes: like earth tones, or jewel tones. 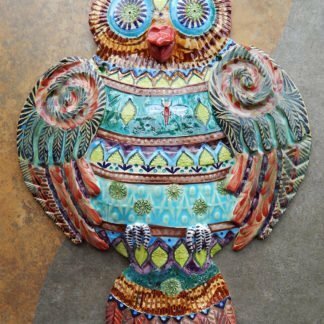 I imprint the slab with patterns and textures and assemble the owl piece by piece. 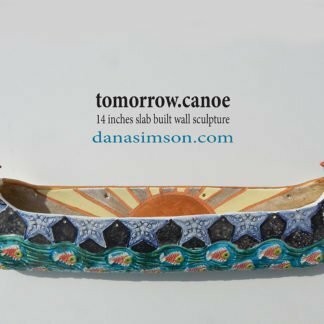 The curved body gives the sculpture bulk but it is not overly heavy. 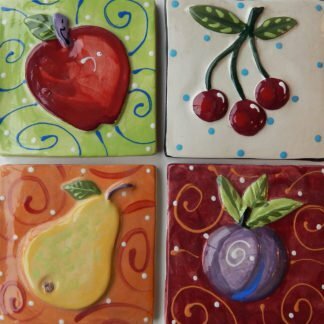 Each is approximately 18 inches tall by 12 inches wide. If you need a different size just give me a call. I sign the back. Each one is unique. 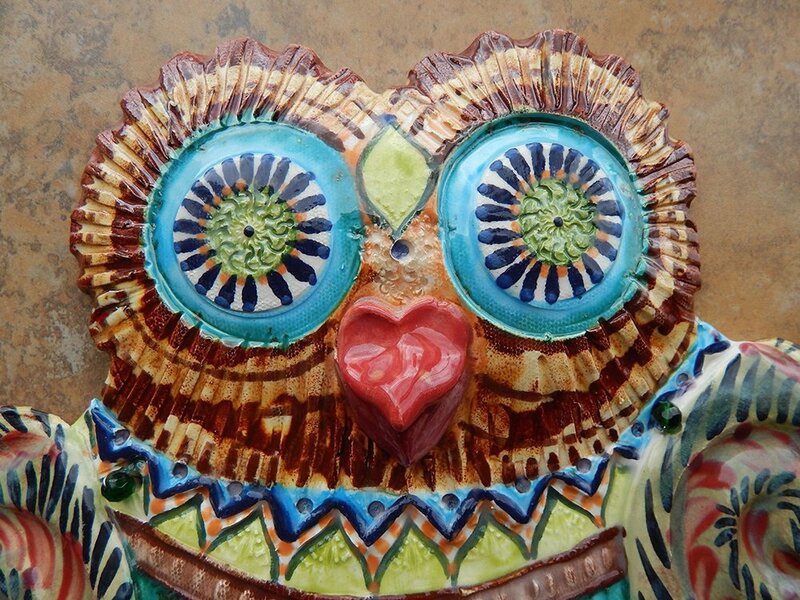 This Owl has flown but I am happy to make more. Made to order, specify color preferences in notes: like earth tones, or jewel tones. I imprint the slab with patterns and textures and assemble the owl piece by piece. 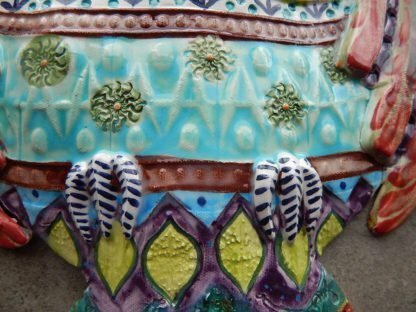 The curved body gives the sculpture bulk but it is not overly heavy. Each is approximately 18 inches tall by 12 inches wide. If you need a different size just give me a call. I sign and date the back. 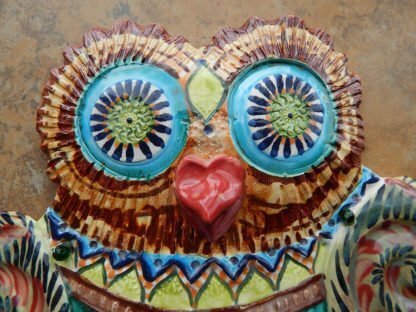 Each owl sculpture is unique. 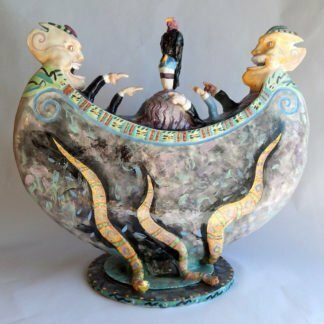 Any of my ceramic sculptures is happy inside or out. 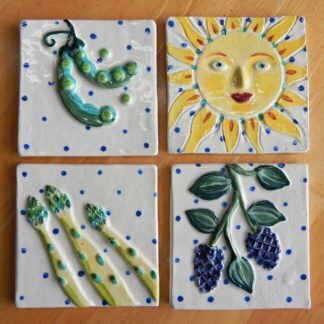 Water and sun do not harm tile- however we recommend bringing any ceramic in during freezing weather. 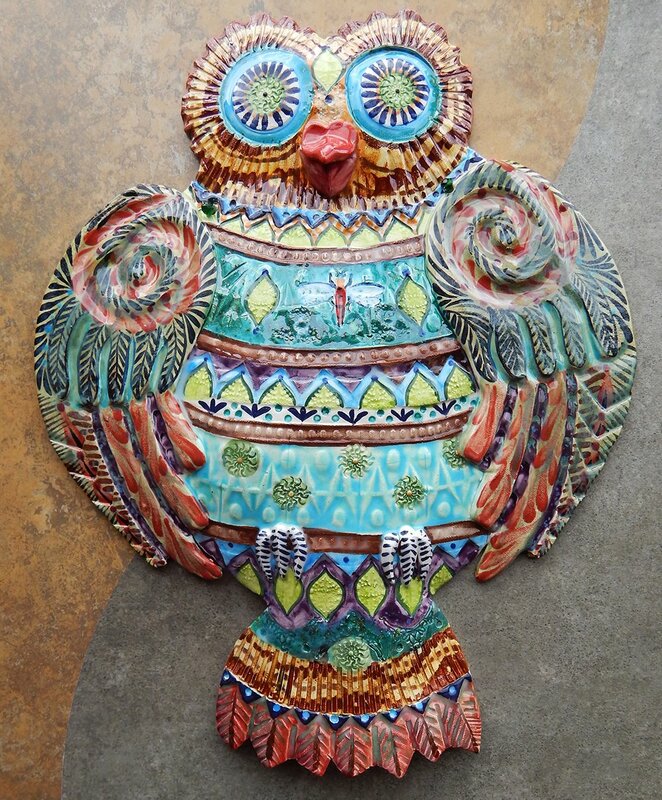 Wall sculptures like the owl, fish or turtles are great in bathrooms.